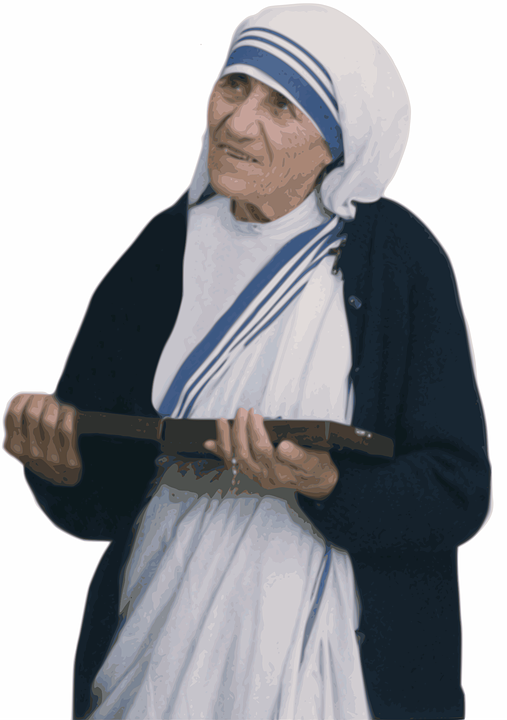 At the time of Mother Teresa’s death in 1997, The Sisters of the Missionaries of Charity was established in 123 countries. This is remarkable, however, not outstanding as there are many organizations that exist to help the poor. The Salvation Army, UNICEF, CARE, World Vision, and Habitat for Humanity are just a few of the many, many organizations dedicated to helping the poor. What makes Mother Teresa stand out is her focus on the individual. This philosophy has had an impact on countless individuals who once felt unwanted. Her philosophy reminds one of the story about an old man who used to go to the ocean to do his writing. He had a habit of walking on the beach every morning before he began his work. Early one morning, he was walking along the shore after a big storm had passed and found the vast beach littered with starfish as far as the eye could see, stretching in both directions. This is exactly the impact that Mother Teresa has had. Mother Teresa also had an impact on the Christian faith. She walked the talk. Even after her death, 20 years ago, she is still is a role model to all those who profess to be followers of Christ. However, her faith was also tested. She wrote a letter to her spiritual confidant that she doubted her faith. This honesty in her crisis is refreshing for the “average” Christian. When doubts creep in, and times of spiritual drought plague the follower it’s comforting to know that the giants of the faith suffered as well. Even Jesus’ own disciple, Thomas, who followed him for 3 years, had doubts about the risen Christ. Evangelist, Billy Graham, also suffered a crisis of faith. But what these people have in common was to face their doubts and continue on in the faith regardless of their feelings. Mother Teresa continued in her faith. She believed that faith is a personal relationship with God and the incarnate Christ. She believed in the Bible. She believed in prayer. These are the foundations of the Christian faith.